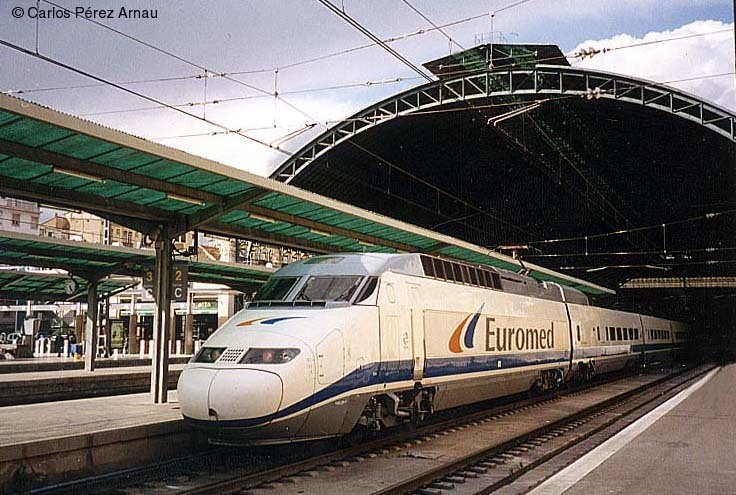 Renfe´s Euromed train emu-100.1.Railways station of Valencia. 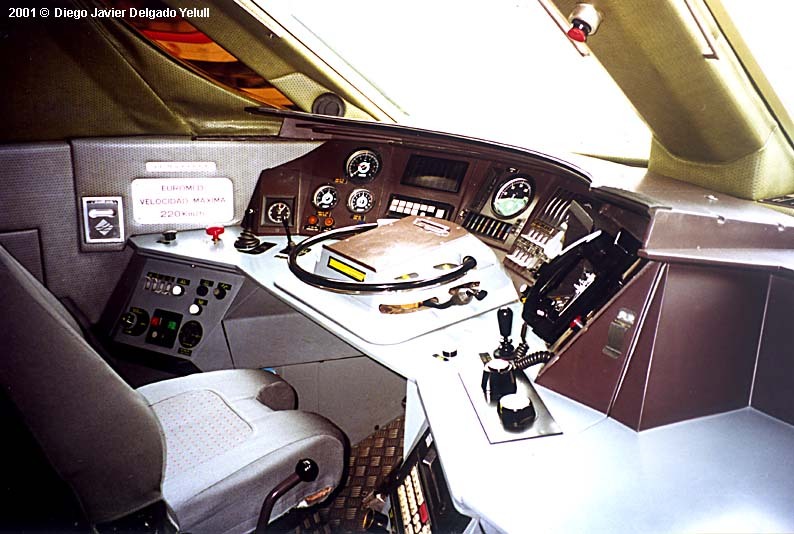 Cabina de conduccion de la composicion GL05, construida por Gec-Alsthom en 1996. Booth of conduction of the composition GL05, built by Gec-Alsthom in 1996. Euromed con destino a Valencia, a su paso por Sagunto. Euromed with destiny to Valencia, to his step along Sagunto. 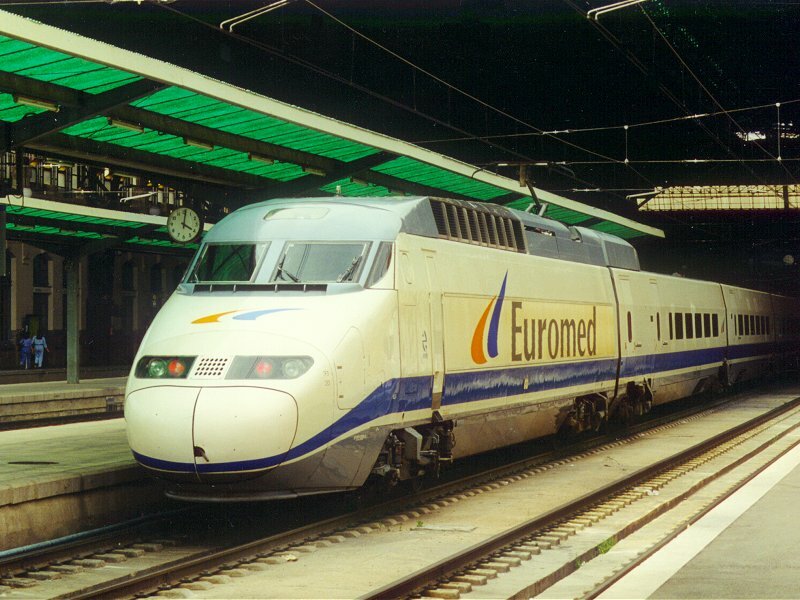 Euromed UT-100.1 en la estacion de Valencia. 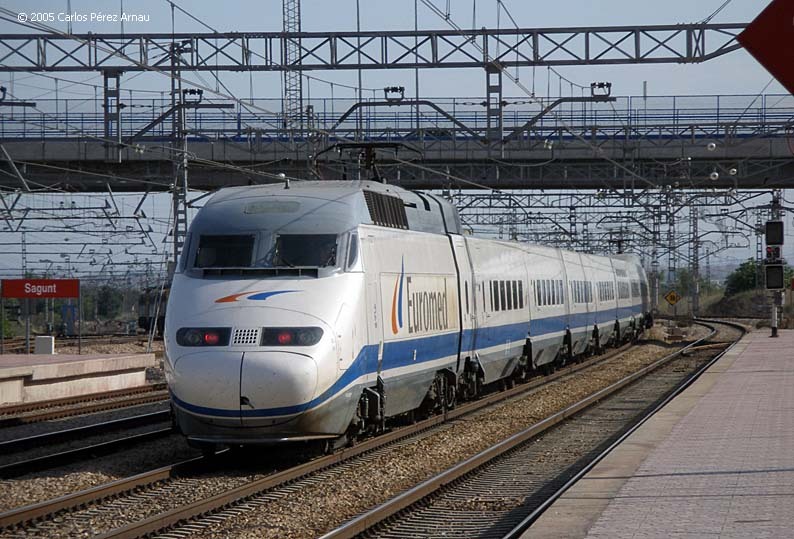 Renfe´s Euromed train emu-100.1 at Valencia. 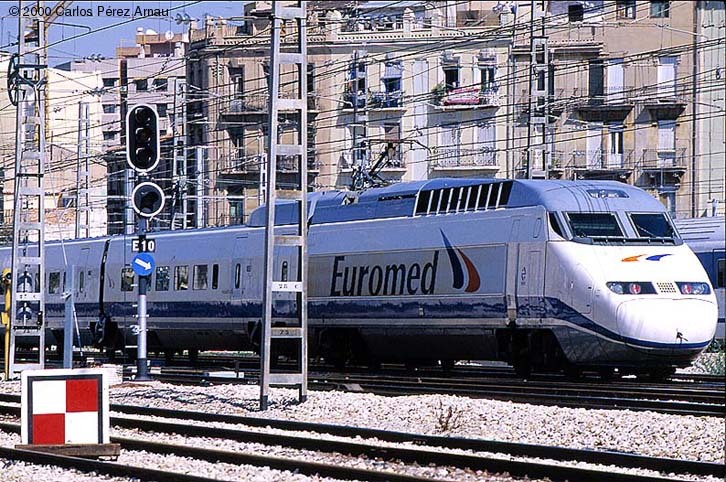 Euromed UT-100.1 entrando en la estacion de Valencia. 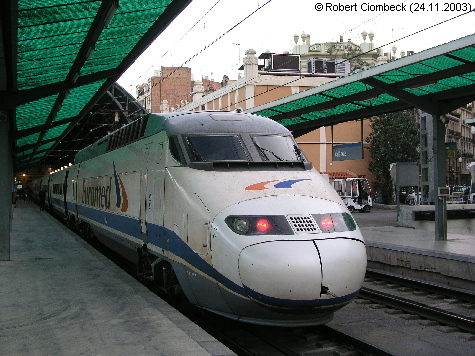 Renfe´s Euromed train emu-100.1 entering Railways station of Valencia. 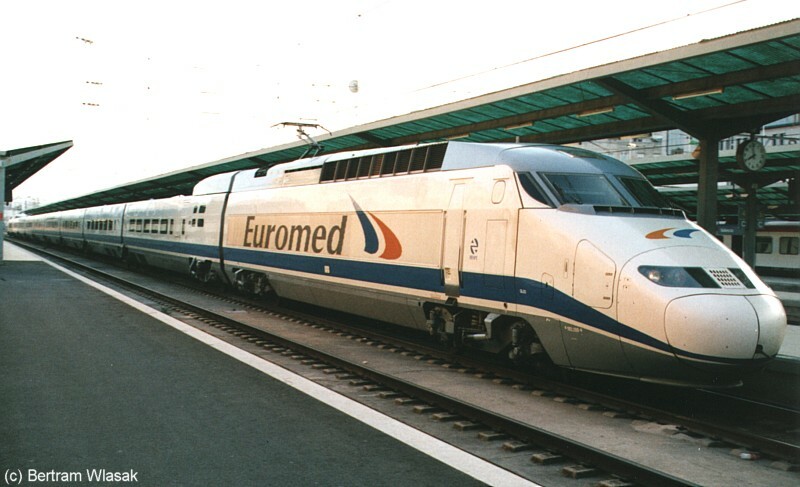 29-12-98 Euromed train, València, Spain. Class 101 "Euromed" set (101.101) of RENFE-LD (Larga Distancia, ex-GL), seen upon reversal at Valencia-Nord. 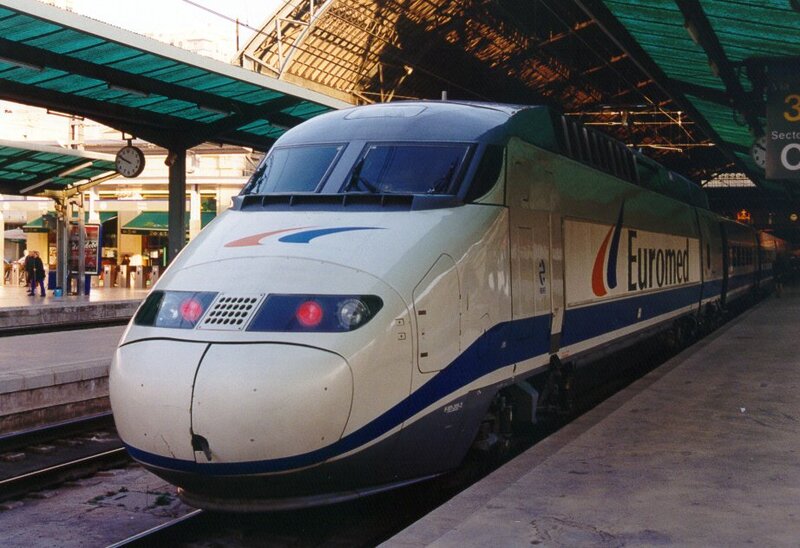 As one original power-car had irremediably been damaged at Torredembarra (February 2002), Alstom built a substitute power-car, very close to those of TGV Duplex and Thalys PBKA sets (and to TGV POS sets, albeit to a lesser extend). Upon re-instatement, this set also got the "Operadora" livery. Photo by Rafa Belda (Acknowledgements). Posting and Comment by P.L.Guillemin (plguillemin@yahoo.fr). 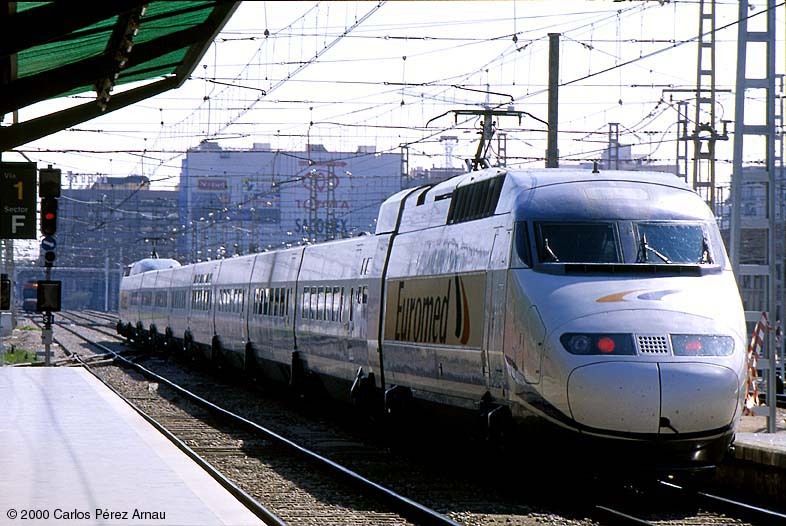 Euromed (Renfe) en Valencia Nord - España, esperando partir hacia Barcelona Sants.18 de mayo de 2000. 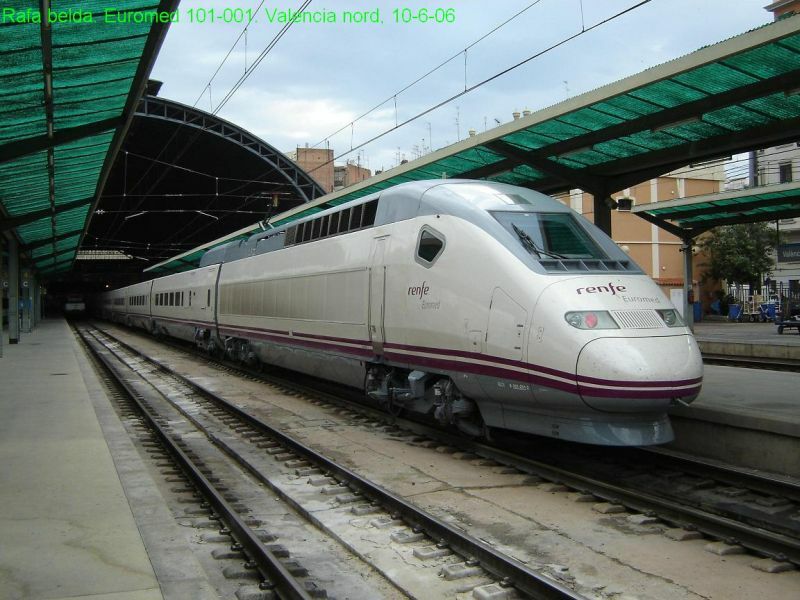 RENFE locomotive 100.1 series, Euromed. 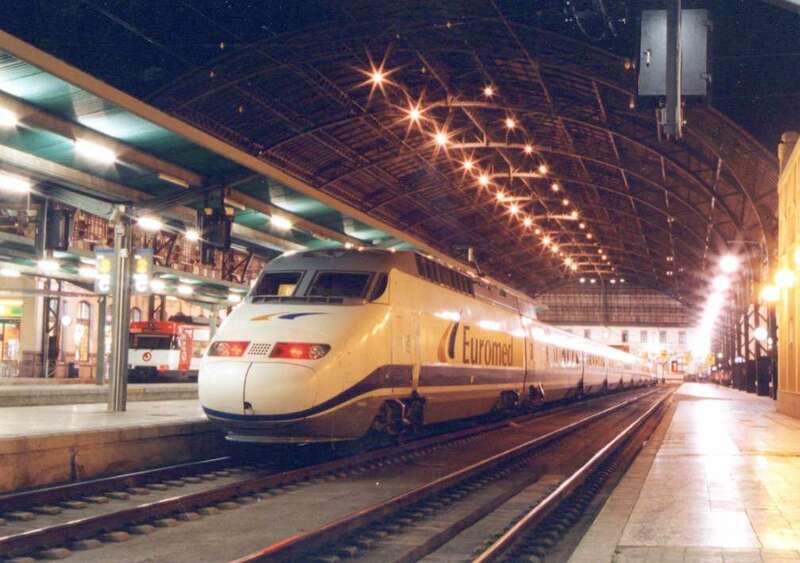 Special night train at Valencia for Barcelona. 29-4-1998.